Since they began there business in 1945, there highest priority has always been customer satisfaction. 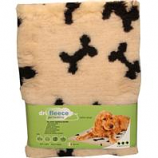 We are committed to providing the highest quality pet products at the lowest possible price. Dishes, cat litter pans and small animal exercisers is tested for durability, functionality, and safety to assure you that the product meets the needs of your pet. 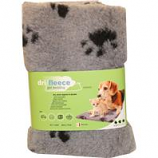 Dimensions: 11 x 4 7/8 x 2 1/4 ideal for clumping litter. Has easy grip handles and made of high impact plastic. 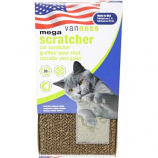 Dimensions: 13 1/4 x 6 2 1/2 is ideal for clumping litter. Has an easy grip handles and made of high impact plastic. Holds 2 cups. Break resistant. Non-skid. . .
Dimensions: 8 3/8 X 8 1/2 X 2 5/8, Capacity: 44 Ounces, Convenient Lifting Handles, Fully Nested Stacking, High Gloss Finish. Dimensions: 25 long x 13 wide x 1.25 in depth has a convenient dispenser to end messy litter clean-ups. These drawstring bags fit most small and medium cat pans for up to 16.5 long and 11.5 wide. Dimensions: 36 long x 19 wide x 1.25 in depth a convenient dispenser to end messy litter clean-ups these drawstring bags fit most extra giant cat pans up to 22 long x 18 wide ends messy clean-ups. Dimensions:30 long x 18 wide x 1.25 in depth a convenient dispenser to end messy litter clean-ups have easy drawstring bags fit most large cat pans up to 19 long x 15 wide. Large cat pan dimensions: 19 x 15 1/8 x 4 1/4 five products make cat care neat and easy. Kit includes: large framed cat pan double dish for dry and wet cat food single dish for water litter scoop and cat pan liners (12 count). • Dimensions: 10 1/2 X 3 5/8, Capacity: 106 Ounces, Rugged Heavy Duty Design, Unbreakable (Under Normal Use). • Dishwasher Safe, Half-Nested Stacking, Comes In Greystone, Sandstone, and Rosestone Colors. Large framed cat pan dimensions: 19 x 15 1/8 x 4 1/4 frame reduced litter spills latches lock to frame to bottom pan uses plastic liners on inside that are locked in place to reduce litter spills odor and stain resistant easy to clean. Dimensions: 13 3/4 x 17 x 5/8 litter mat traps litter from cats paws fits van ness enclosed litter pans and most others. • Jumbo Heavyweight Crock Dish Dimensions: 3 1/2 Deep; 10 1/4 Diameter With 5/8 Rim; Capacity: 106 Ounces. • With A Jewel-Like Finish, Unbreakable (Under Normal Use), Dishwasher Safe, Made In Teal, Blue, and Rasberry Colors. Dimensions: 9 1/2 x 3 1/4 x 2 5/8 easy to use graduated measurements easy grip handle and high impact plastic. Dimensions: 35 long x 18 wide x 1.01 in depth use as a convenient dispenser to end messy litter clean-ups. For use in giant litter pans up to 22 long x 16 wide box contains twist ties ends messy clean ups. Dimensions: 14 1/2 x 8 1/2 x 11 1/4 capacity: 6 lbs auto feeder for dogs. Hinged top attached to container 30 degree angled bottom for continuous food flow clear smoke finish for esy viewing and has handles for easy pick-up. • Water Unit Features Spill-Less Valve Technology That Ends Messy Filling and Removable Container Top For Easy Cleaning. • Clear Smoke Finished Containers For Viewing Water On Hand. • Dish Features A New Metallic Blue Color With Handles For Easy Pick-Up. • Dimensions: 6 3/8 X 6 X 2, Capacity: 16 Ounces, Convenient Lifting Handles, Fully Nested Stacking. Medium cat pan dimensions: 16 x 12 x 4 that is odor and stain resistant and easy to clean. Made from high impact plastic unbreakable (under normal use) and available in assorted colors. • Easy To Clean Dishwasher Safe Auto Waterer For Small Dogs Clear Smoke Finish For Easy Viewing Of Water and Handles For Easy pick-up. Dimensions: 11 1/2 x 6 7/8 x 8 7/8/ ; 3 lb capacity auto feeder for large cats or dogs. Hinged top attached to container 30 degree angled bottom for continuous food flow clear smoke finish for easy viewing of food has handles for easy pick-up. Large heavyweight crock dish dimensions: 2 7/8 deep; 8 3/8 diameter with 1/2 rim; capacity: 52 ounces with a jewel-like finish unbreakable (under normal use) diswasher safe made in teal blue and rasberry colors. Dimensions:12 x 6 1/2 x 2 capacity: 21 ounces per side convenient lifting handles fully nested stacking high gloss finish interior matte exterior dishwasher safe unbreakable(under normal use) lightweight and available in assorted colors. • Medium Heavyweight Crock Dish Dimensions: 2 1/4 Deep, 5 3/4 Diameter With 3/8 Rim, Capacity: 20 Ounces. • Heavyweight Crock; Plastic; With Textured Diamond-Faceted Sidewall Design and A Jewel-Like Finish. • Unbreakable (Under Normal Use), Dishwasher Safe. Dimensions: 9 1/2 x 5 5/8 x 7 1/4 capacity: 1.5 lbs spill less value removable top/easy clean dishwasher safe clean water is recieved as pet drinks clear smoke finish for easy viewing of water handles for easy pick-up. • Unbreakable (Under Normal Use), Half-Nested Stacking, Dishwasher Safe. Dimensions: 4 5/8 x 2 1/8 capacity: 9.5 ounces with jewel-like finish unbreakable (under normal use) dishwasher safe made in teal blue and rasberry colors. Dimensions: 19 x 15 1/8 x 4 1/4 ideal for clumping litter with easy lift handles. Reduces litter spill and no litter scoop is necessary when used with clumping litter four piece system. Giant cat pan dimensions: 22 x 16 x 6 1/2 that is odor and stain resistant and easy to clean. Made from high impact plastic unbreakable (under normal use) and is available in assorted colors. • Ergonomically Designed Handle Grip and Flip Top Spout For Easy, One Handed Dispensing Of Pet Food. 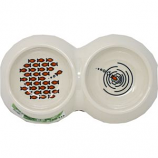 • 4 Pound Capacity For Pet Food Meets Food Storage Needs Of Both Cats and Small Dogs. • Lid & Flip Top Feature A Fresh Tite Seal That When Combined With Locking Front Latch Keeps Air Out and Food Fresh. • Safe For Your Pet, Manufactured With The U. S. Food and Drug Administrations Food Contact Approved Plastic and Colorant. • Container Features A Transparent Smoke Finish So Food Quantity Is Easy To Track. • Degradable When Exposed To Typical Composting Conditions.